FEMA is the acronym for the Federal Emergency Management Agency, an agency that responds to and mitigates disasters. PODs stands for Points of Distribution. PODs are planned methods to distribute emergency supplies. They would be needed if infrastructure broke down where food, water, and other supplies could not be distributed through normal means. What is a FEMA POD? The Army Corp of Engineers and FEMA have teamed up to develop general plans for resource dispersal using local agencies in the event of a national disaster. The POD is the designated location and the process where they distribute the resources. They are designed in three sizes to accommodate different traffic, which are designed to be no more than 20,000 people a day. What Resources Would a FEMA POD Distribute? Besides regular disaster supplies such as food, water, and blankets, a FEMA POD could also be called upon to distribute the Strategic National Stockpile (SNS). The SNS is a huge stockpile of medical supplies maintained by the Center for Disease Control and Prevention (CDC). The medical supplies include vaccines, antibiotics, antidotes, and antitoxins for rapid deployment to PODs. The SNS would be used in response to a biological weapon, epidemic, or pandemic. The supplies from the SNS would be signed out by individuals to prevent waste. Disaster supplies like food and water would usually be distributed where each person or vehicle gets enough for a family of three. Where are the PODs Located? Locations are not concrete, but depend on local officials to pick the location to ensure that it is a safe and accessible area. Barring having contact with FEMA, there is not a surefire way to predict where the POD will be set up in your local area. Public schools make good POD location areas due to how their locations are dispersed in the population. Hospitals are usually not selected as POD locations because it would cause traffic problems. In the event that PODs are needed, hospitals would most likely be at capacity due to the disaster event. The location selected will be based on the type of disaster in the local area and accessibility for both survivors and resupply trucks. How Would I Get Resources From a FEMA POD? The point of dispersal would most likely run supplies from 7am to 7pm, and then restock after that shift is over. Security will be present to usher crowds and keep everyone calm. If you are visiting a FEMA POD to get vaccines, it is a good idea to wear personal protection. A N95 mask and nitrile gloves should be your bare minimum if you have to wait in an area with possibly infected people for long periods. The plans for setting up a POD are fairly optimistic since they are hoping that vehicles will be used to pick up supplies and to rotate people through the area faster. If vehicles are not able to be used then the resources will not be able to be distributed very fast and wait times will increase quickly. 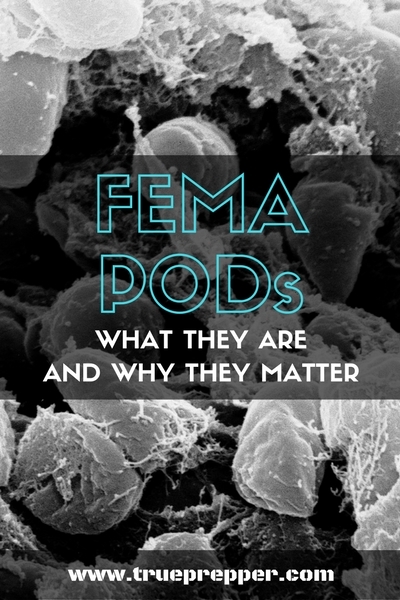 What’s Important About FEMA PODs? In an event where you need disaster supplies, you are going to need to know how to obtain them through your local POD. While you may have disaster supplies covered if you are a seasoned prepper, an activation of the Strategic National Stockpile could change this. The vaccines and treatments in the SNS would be needed by the entire population. A FEMA POD could hold the key to survival through its distribution of these vaccines in the event of a pandemic. 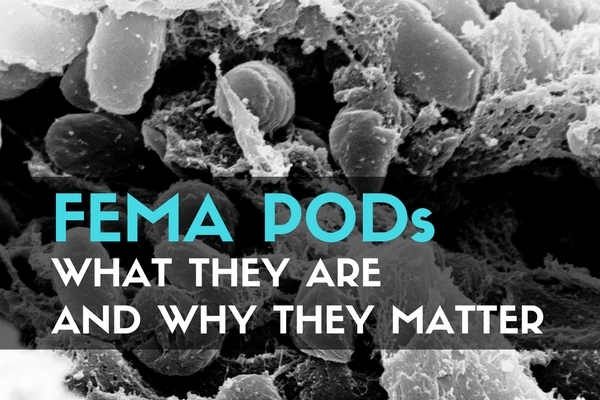 Reaching a POD without infection and limiting your exposure while obtaining the vaccines could be the most important part of your disaster response. Be aware of the potential for crowd based disasters, since groups of panicked people are not the most predictable. If you want to learn more, you can learn straight from the source on the FEMA website. They have published instructions for local officials to set up points of dispersal. There is also a training course for local emergency managers to take. Both of these can provide some more insight into how the program works. If you have any experience on POD training or operation, please drop any tips below in the comments. Keep exploring, stay prepared, and be safe.